Knitting 101, originally uploaded by Five Baht Elephant. So…. my sister and I signed up at Fancy Tiger’s “Knitting 101” class. I knew the basic knit and how to cast on, but after that… forget it. 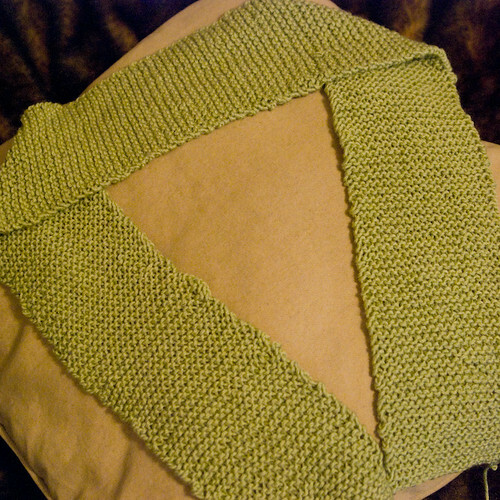 I wanted to learn how to bind off, read a pattern… basically make a bunch of cool stuff other than scarves. A week later, I had completed my scarf! Being NINE MONTHS PREGNANT all I do after coming home from work is sit on the couch. Loads of time to knit….